Iconic, historic, engineering marvel, local landmark; words people associate with the Lovell Radio Telescope at Jodrell Bank. Located deep in the heart of the North Cheshire countryside, many local roads offer fleeting glimpses of the towering structure over the hedgerows. On any particular day you can never predict the orientation of the parabolic collecting dish. It may be parked, off-line, in the cornflake bowl position, or aimed at a particular part of the sky, slowly and steadily gathering incredibly faint electromagnetic waves, constructing images of the universe we inhabit. Sir Bernard Lovell's vision, drive and passion gave birth to the telescope in the late 1950s. A succession of upgrades and enhancements over the following decades has ensured the telescope maintains its position at the forefront of scientific research – this in an age where most technical and scientific equipment exhibit useful lifespans of, at best, a few years. The surrounding picturesque grounds include not only smaller radio telescopes and associated buildings but also an arboretum, walking trails and nature habitats. A quiet and patient observer is treated to the richness of the resident wildlife; a multitude of birds including grouse, pheasants and water fowl, plus rabbits, hares and countless pond creatures. 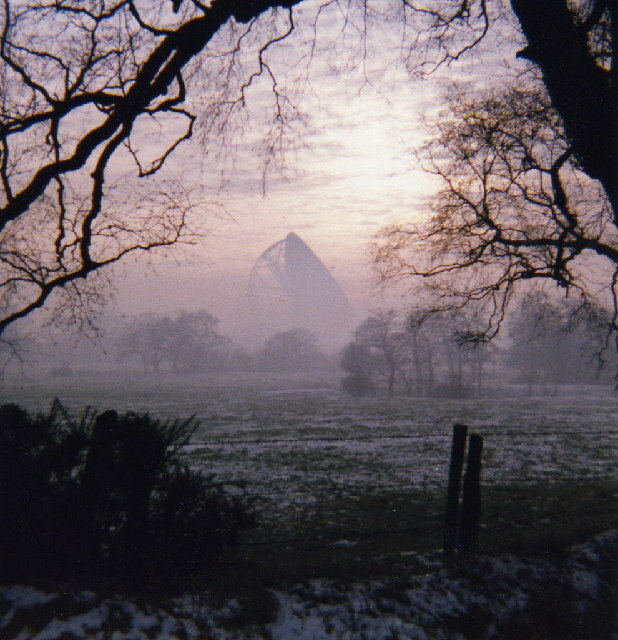 Timeless and unchanging yet pioneering and world-centric; words I associate with the Jodrell Bank Observatory after a weekend visit, the highlight of an Introduction to Radio Astronomy course. On entering the Lovell Telescope's control room your visual senses are confronted by the instantly recognisable scene from televised interviews and documentaries, the images unchanging across the decades from the iconic black and white footage to the present day broadcasts. However, appearances can be deceptive. Behind the original panels and classic dials, modern computer systems and control software are busily setting and maintaining the telescope orientation with pinpoint accuracy, to satisfy the needs and aspirations of modern scientific research. The main library too appears timeless in nature, and best imagined in a sepia tone. Seated around a large table, surrounded by tall shelves crammed with a wealth of academic literary, you cannot fail to notice a heightened sense of gravity at the sheer weight of historical tomes. Indeed, you may ponder which famous people might have previously sat in your chosen chair. Whilst not apparent to the casual visitor, the Lovell Telescope's significance and influence goes far beyond the confines of the site. It is a major player in both the UK's MERLIN and the European VLBI networks, which electronically connect a number of radio telescopes together. The UK's MERLIN network has an apparent dish size of 134 kilometres, providing significantly improved imaging of faint or distant objects. However, the European VLBI is even larger, connecting radio telescopes as far apart as Spain and Italy to Sweden and Poland, enabling astronomers to peer back in time to the origins of our universe, over 13 billion years ago. 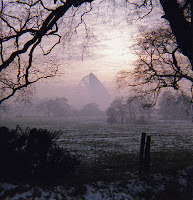 Visit the comprehensive Jodrell Bank Observatory web site or be entertained and informed by the bi-monthly astronomy Jodcast.